The Honda Civic lineup offers a broad range of trim levels and body styles to suit a variety of tastes and budgets, and all of them are practical, economical, refined, and fun to drive. The Civic’s infotainment system trails some class rivals (and annoyingly lacks a traditional physical audio-volume knob), and despite the broad model lineup, not all trim levels are offered in all body styles. 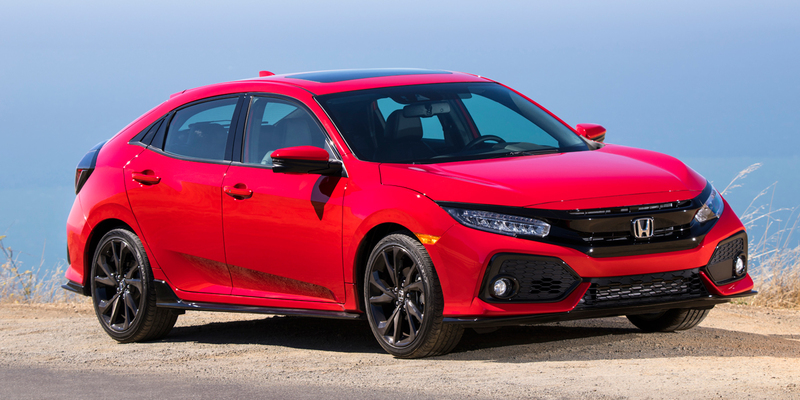 Honda also sells a super-performance Type R version of the Civic that has a 306-hp turbocharged 2.0-liter 4-cylinder and racetrack-focused equipment inside and out. 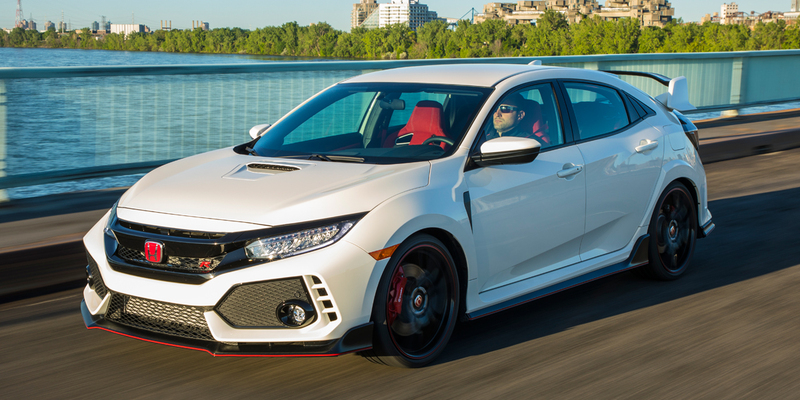 The Civic Type R comes only as a hatchback and is priced at $33,900. 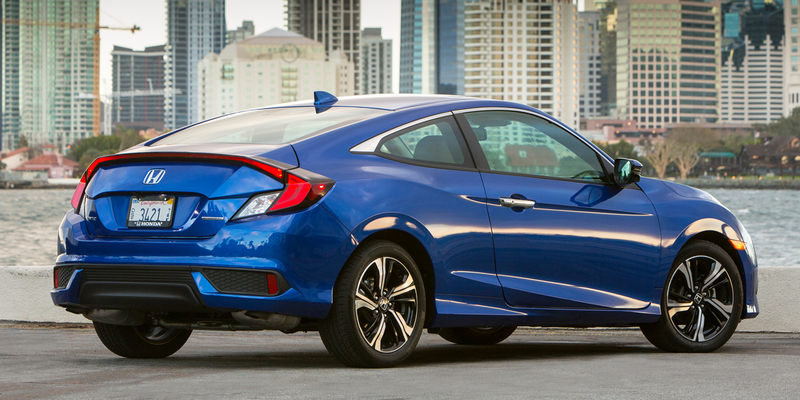 The Civic is Honda’s popular compact car. It was redesigned for 2016 in coupe and sedan form, and gained a 4-door hatchback body style for 2017. Trim levels differ a bit by body style, but mainly stick to Honda’s traditional LX, EX, EX-L, and Touring models. The base engine is a 158-hp 2.0-liter 4-cylinder that is offered in sedans and coupes. The step-up engine choice is a 174-hp turbocharged 1.5-liter four that is available on all body styles. The Sport and Sport Touring models (which have a 180-hp version of the 1.5-liter turbo engine) are exclusive to the hatchback body style, and the sporty Si models (which rejoined the lineup for 2017 and have a 205-hp turbo 1.5) are offered only as coupes or sedans. Available on most models is the Honda Sensing suite of safety features, which includes lane-departure warning, lane-keep assist, forward collision warning and mitigation, and adaptive cruise control. The Civic lineup sees no significant changes for 2018. Regardless of trim level, the Civic has commendable EPA fuel-economy estimates for its respective levels of performance. The base 2.0-liter engine is rated at 28 mpg city/40 highway with the 6-speed manual transmission, and 32 city/40 highway with the CVT automatic. The turbocharged 1.5-liter engine is rated at 31 mpg city/42 highway with the 6-speed manual transmission, and 32 city/42 highway with the CVT automatic. EPA ratings for the coupe and hatchback body styles are 1-4 mpg lower across the board. 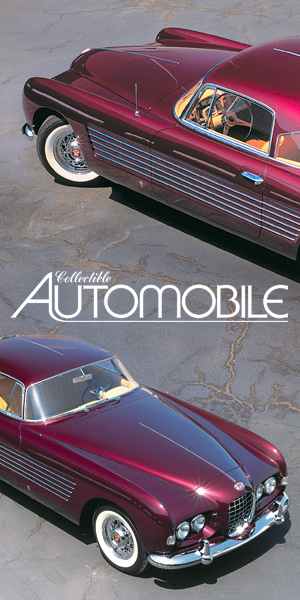 The manual-transmission-only Si is rated at 28 mpg city/38 highway. 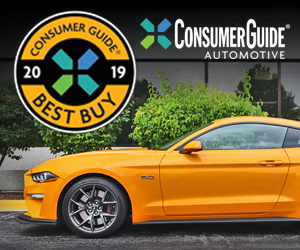 In Consumer Guide® testing, a Touring sedan with the automatic averaged 33.8 in 60-percent city driving, a Sport Touring hatchback (which is automatic only) averaged 30.7 mpg in 55-percent city driving, and an Si sedan with the manual averaged 32.5 mpg in 70-percent city driving. 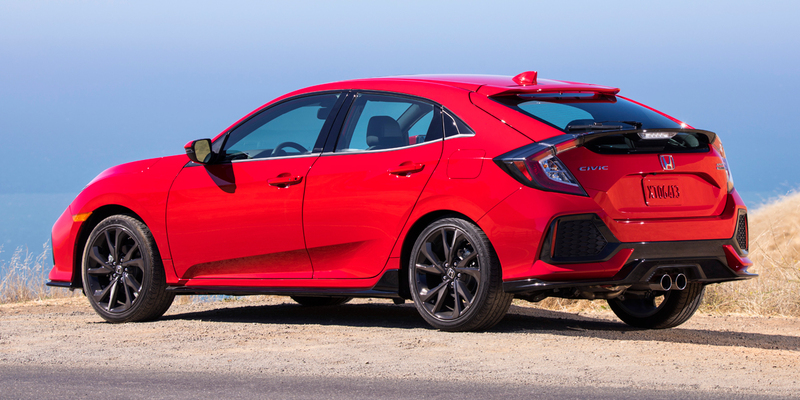 The rollout of the redesigned Civic lineup that started two years ago reached full fruition with the mid-2017 introduction of the versatile hatchback body style and the sporty, affordable Si trim level. 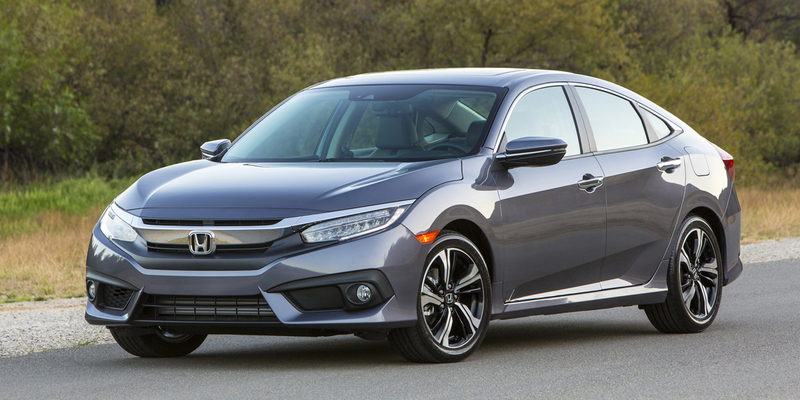 In any of its numerous permutations—from penny-pinching commuter to satisfyingly spicy sportster—the Civic offers excellent all-around refinement, an engaging driving personality, and laudable real-world fuel-economy numbers. AVAILABLE ENGINES 158-HP, 2.0-Liter 4-Cyl. ; Turbocharged 174/180/205-HP, 1.5-liter 4-cyl.